Volkswagen has embarked on a major corporate overhaul aimed at making the automaker more efficient and focused. It thinks Herbert Diess is the right executive for the job. The world's largest automaker announced Thursday that Diess, 59, had been chosen to replace outgoing boss Matthias Mueller in a surprise leadership shift. Diess brings an outsider's perspective to the job, having joined Volkswagen (VLKAF) in July 2015 after spending nearly two decades at rival German automaker BMW (BMWYY). It was there that Diess reportedly earned the nickname "Kostenkiller" -- or the cost killer -- for his ability to slash spending. The German-born Austrian may also help Volkswagen move beyond its diesel scandal, having joined the company only a few months before news of its emissions cheating burst into the open. He acknowledged at a press conference on Friday that the company had "lost a great deal of trust" and that it would take years to restore public confidence. 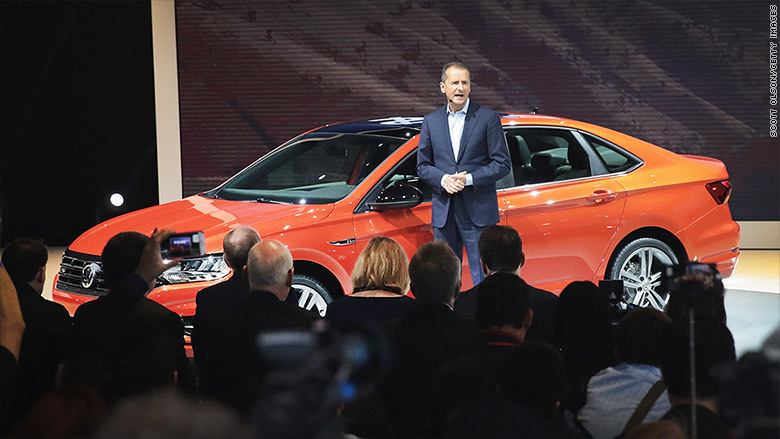 Since joining the company, Diess has worked to revive the Volkswagen brand, launching a multi-year strategy to restructure the automaker's namesake division, increase its profitability and cut emissions. He also set a goal to sell 1 million VW-branded electric cars by 2025 and make Volkswagen "the leading manufacturer of electric cars." Herbert Diess worked for nearly two decades at BMW before moving to Volkswagen Group in 2015. Diess appears to have an appetite for change, having warned employees in 2016 that "in its current form, our company is not sustainable." 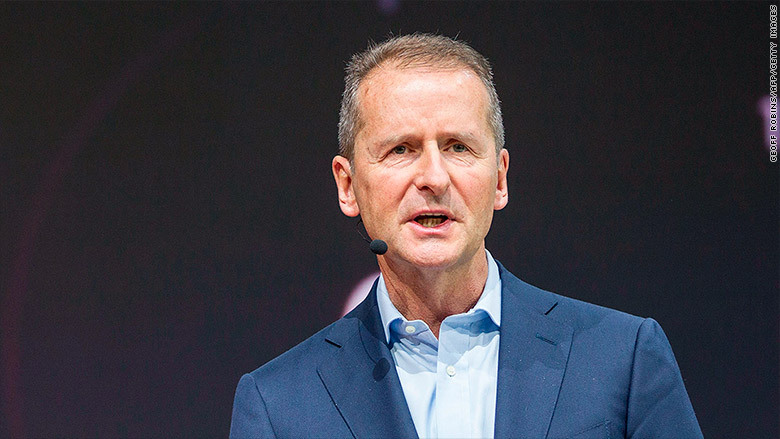 He set out his goals for the entire group on Thursday: "In a phase of profound upheaval in the automotive industry, it is vital for Volkswagen to pick up speed and make an unmistakable mark in e-mobility, the digitalization of the automobile and transportation as well as new mobility services," he said in a statement. At the press conference on Friday, he said Volkswagen would be open to forming new partnerships with other companies to hasten the development of fuel cells and autonomous cars. He also outlined a new management structure for the firm that will see executives manage multiple brands at the same time. 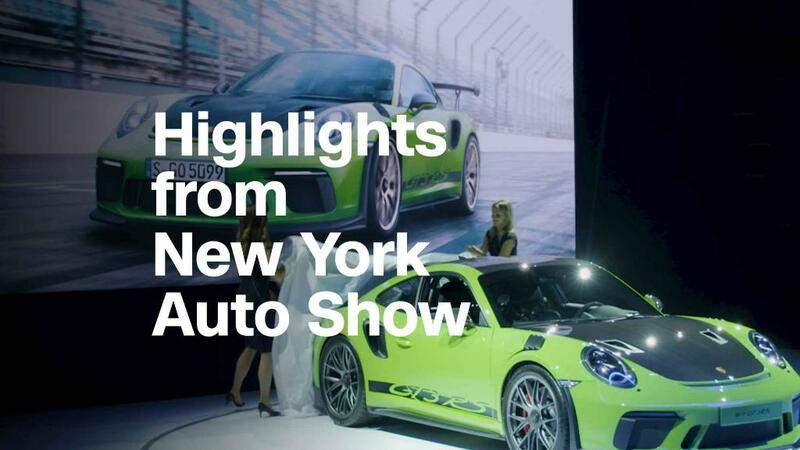 The company's brands, which include Audi, Porsche, Skoda and Lamborghini, will be grouped into the broad categories of "volume," "premium" and "super premium." Diess said the change would allow managers to make quicker decisions on pricing, marketing and sales. Volkswagen will also have a separate China division, with Diess saying that managing the company's largest market from Germany was not the right choice. "China is of tremendous importance for the group for revenue and earnings. China will be leading when it comes to electric cars," he said. Herbert Diess joined Volkswagen Group just before the company's diesel scandal hit the headlines in 2015. The new CEO considers Tesla (TSLA) to be a major threat, even though it sells just tens of thousands of cars per year compared to Volkswagen Group's 10.7 million. "In the old world of automotive industry, our main competitors are Toyota (TM), Hyundai (HYMTF), and the French manufacturers. In the new world, it's Tesla," he said last year. He has also previously been vocal about his desire to increase the number of female managers at the company. Diess studied vehicle technology and mechanical engineering in his youth and earned a doctorate in assembly automation.